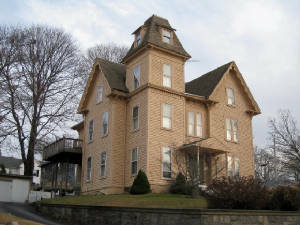 Examples of the Italianate style of Victorian architecture found on Groton Bank. Here is a description of Victorian Italianate. Capt. Ebenezer Morgan’s had this large Italianate built after his record voyage and he went into business, banking and real estate. One business was the New London based Alaskan Commercial Company in which he played a principal role and for which he sailed and became the first person to plant the American flag on Alaskan soil, securing a lucrative monopoly lease for his company. He also became a philanthropist. 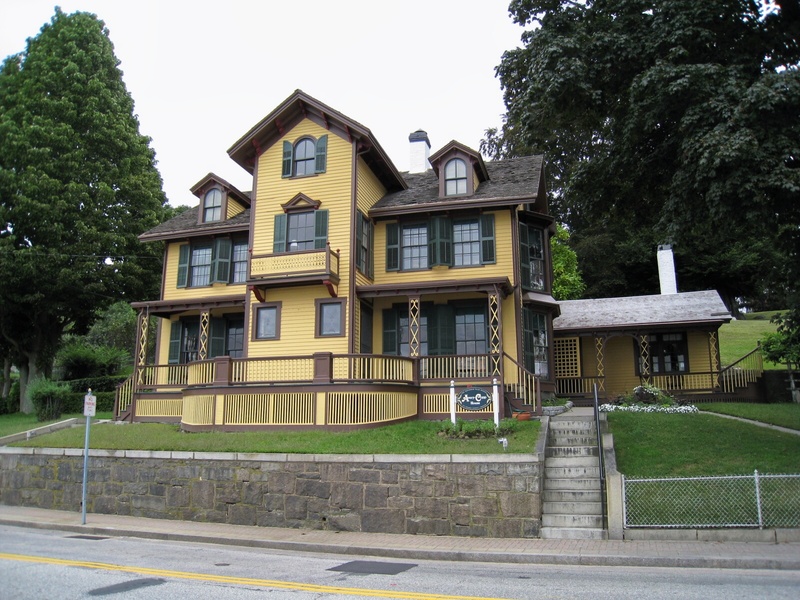 When he died in this house in 1890 his estate was valued at $1 million. An officer in the Second Regiment of Horse Artillery of the Militia of Connecticut, Colonel Hubbard D. Morgan was later involved in the lumber and ship-timber trade. About 1845 he and others experimented to extract oil from menhaden fish and then set up the firm Morgan & Gallup that was highly successful selling it. 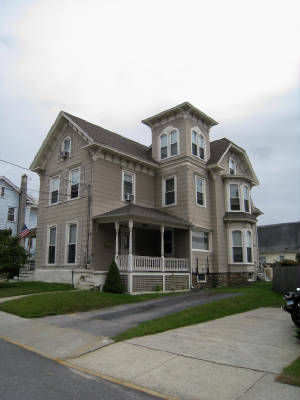 A early 1800s colonial remodeled in the 1870s to an Italianate style. Belton Copp who lived here at that time was prominent banker becoming a Trustee and Vice President of the Savings Bank of New London. Today the house is the Avery-Copp Museum, providing a time capsule of the life of a prosperous village family of a century ago. 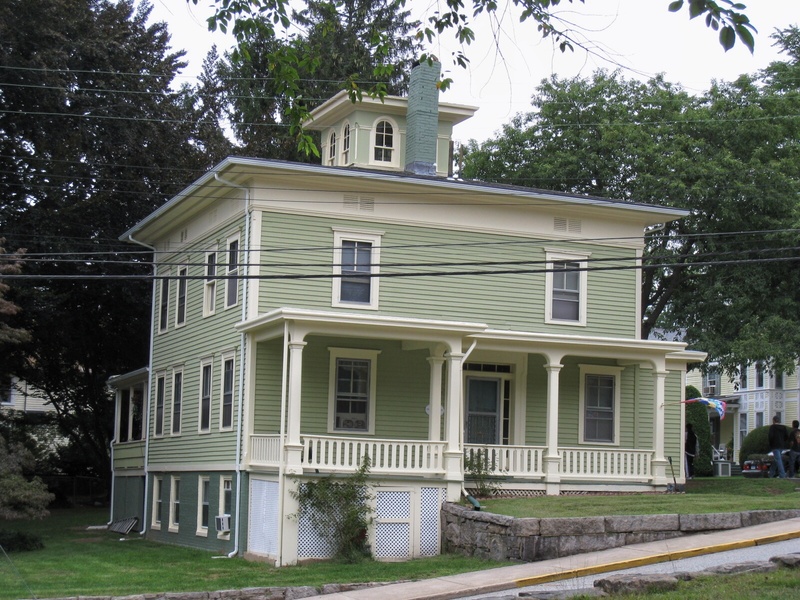 Elisha Miner was an architect and builder of many mid 19th century houses on Groton Bank. This is the last on he built as the residence in which he lived. 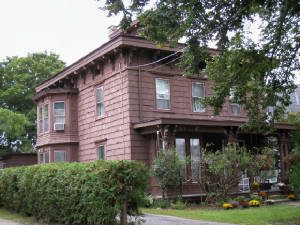 Other house that he designed and built included Capt. Ebenezer Morgan's first house of 1851 on Broad Street and the Betsy A. Perry House of c. 1855 across the street, and Elisha Miner's "cottage" of c. 1856 just south of this one which he built as the last residence. Several of his houses had unique curved wide eaves as does this one. The Groton Bank Baptist Church was founded in 1843 and this 1872 Italianate structure was its second meeting-house. In 1887 the church's name was changed to the Groton Heights Baptist Church. 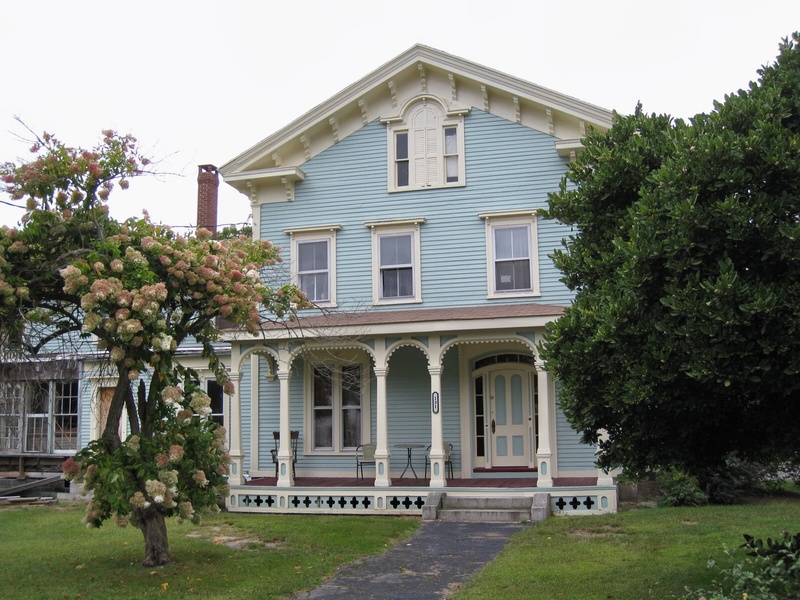 This large ornate Victorian was built for Hellen Allen, daughter of the second minister of the Groton Bank (now Heights) Baptist Church, Nicholas T. Allen, who was an active promoter of the plan to open Church Street.